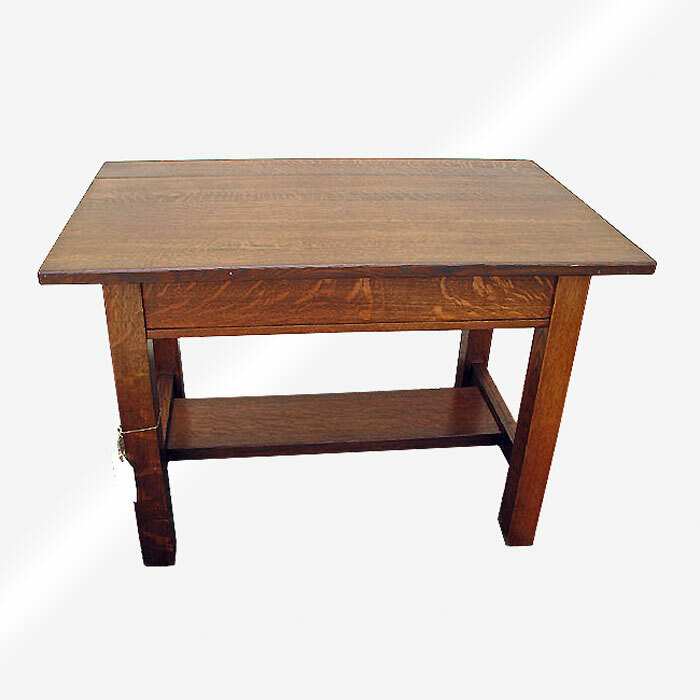 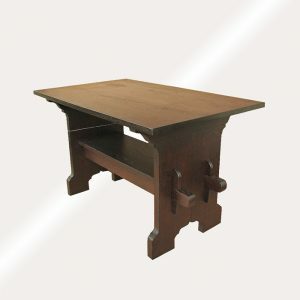 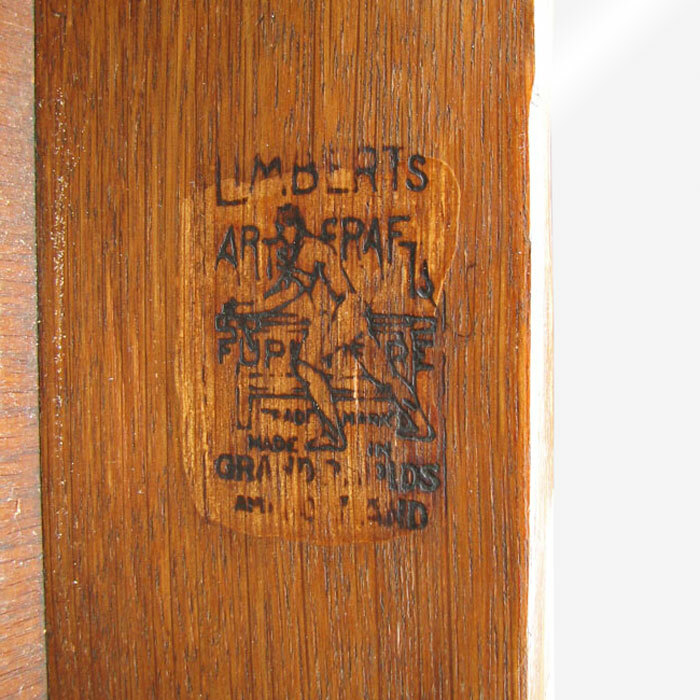 This is an Antique Limbert Library Table from the early 1900’s. 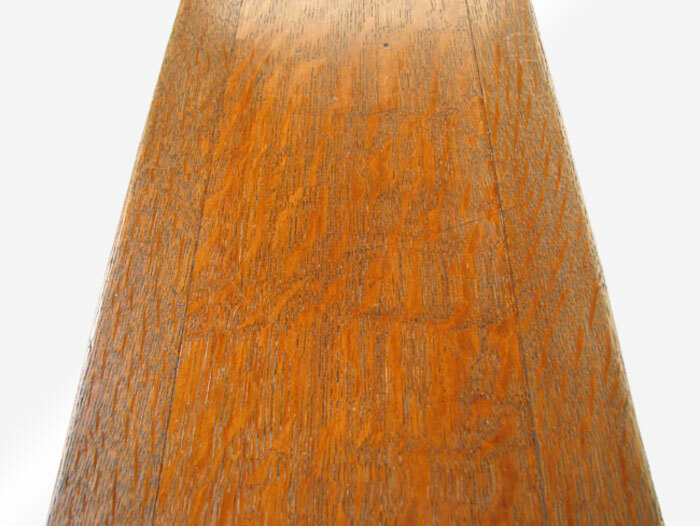 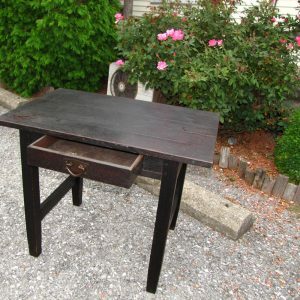 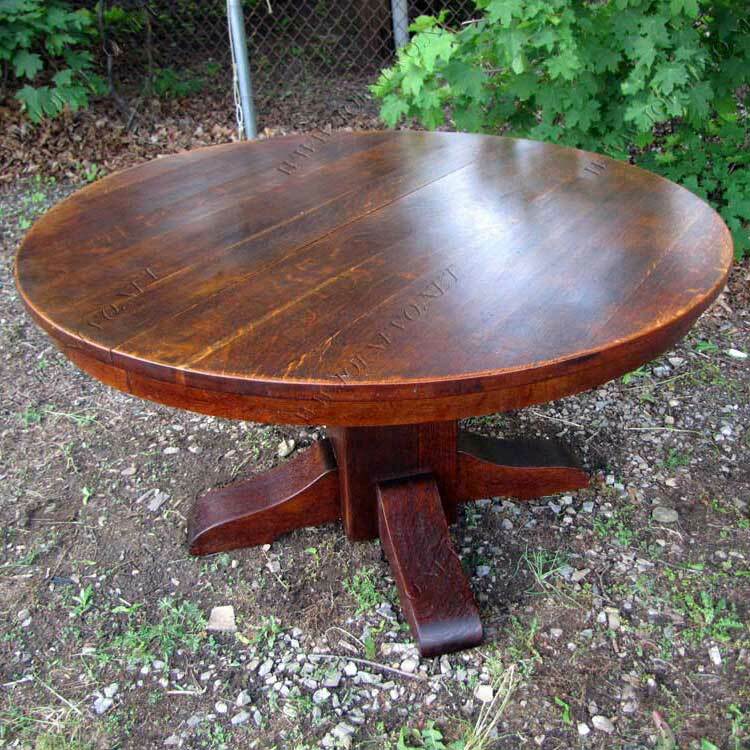 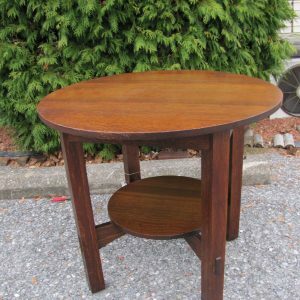 This is a nice table that is in very good condition and it has an old refinish. 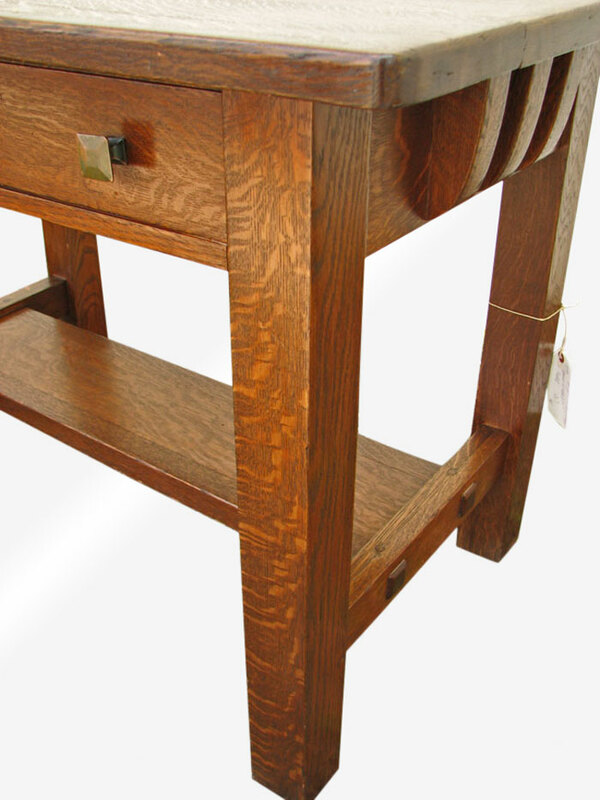 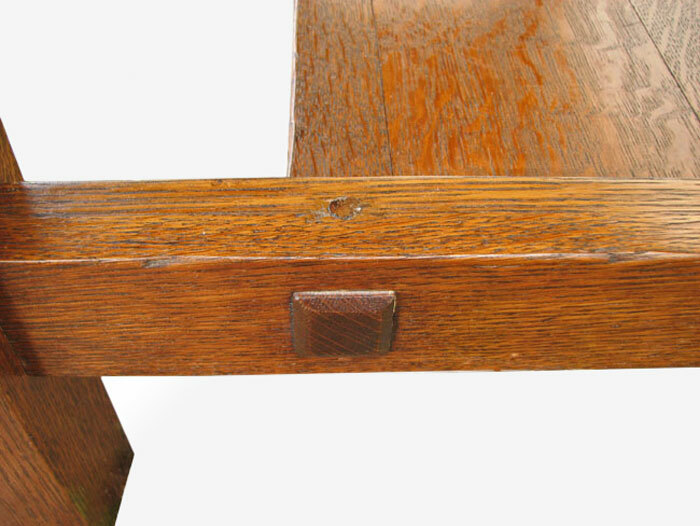 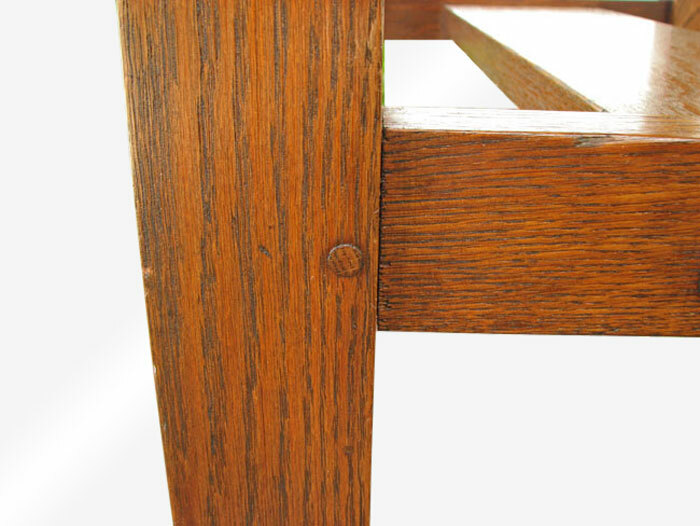 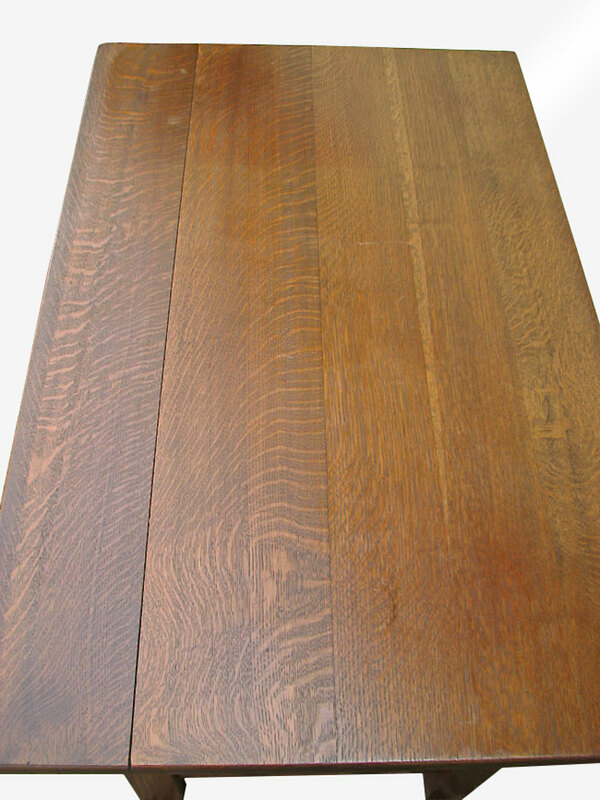 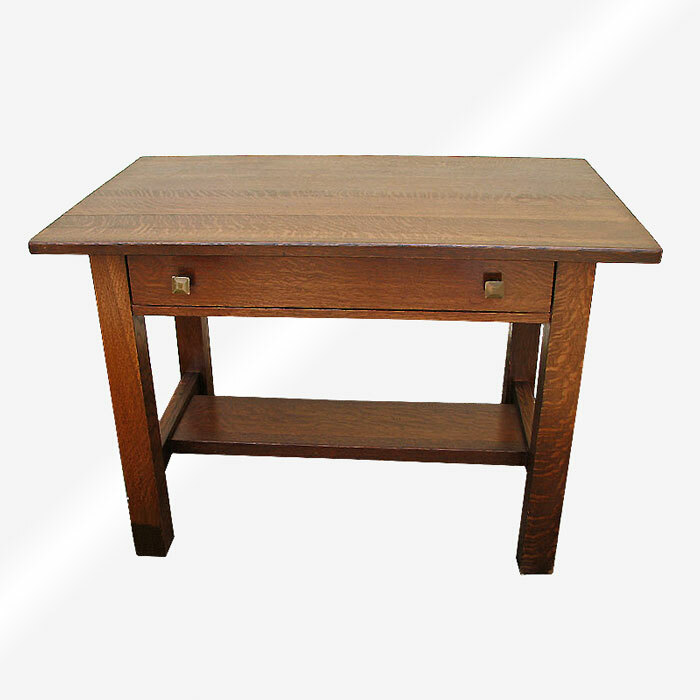 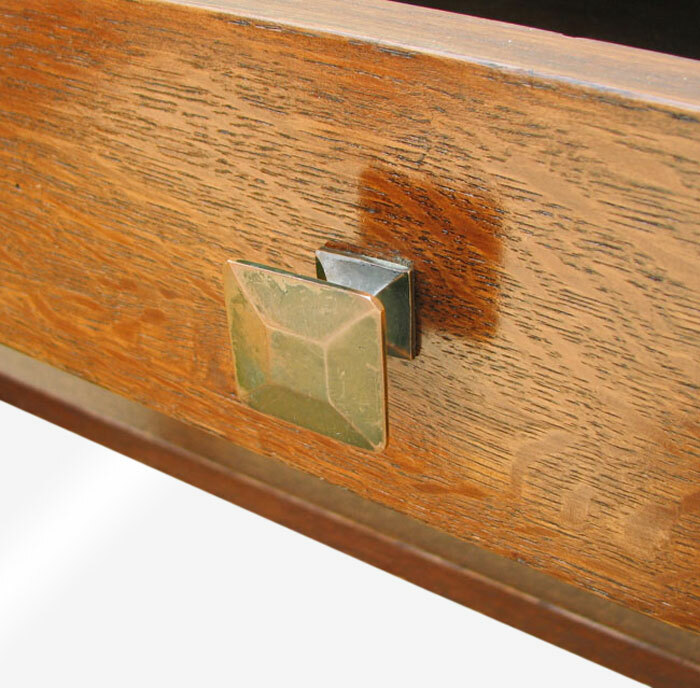 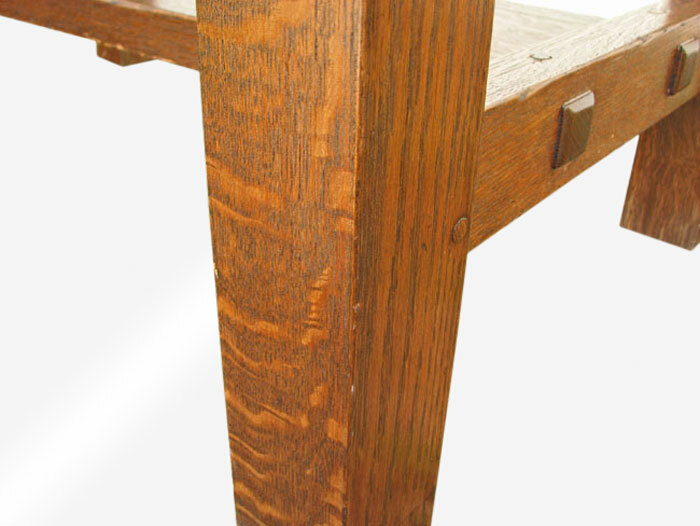 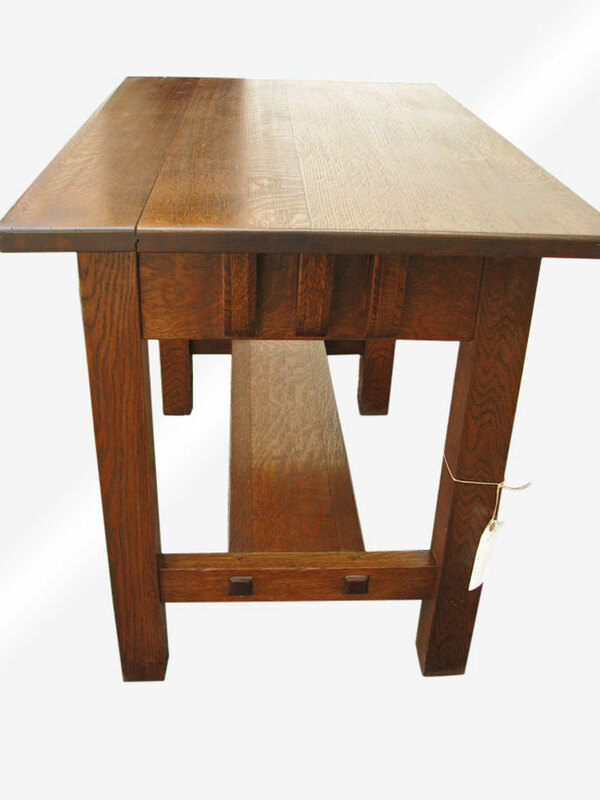 The table was made with a great selection of oak and it has all original hardware. 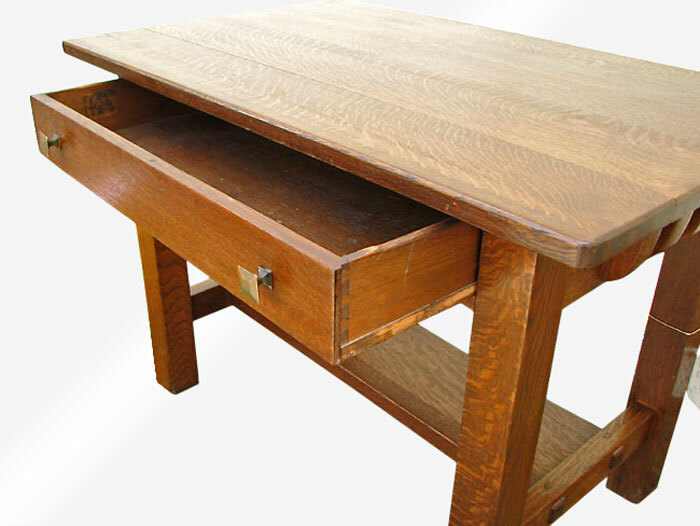 The table is very heavy and bulky. 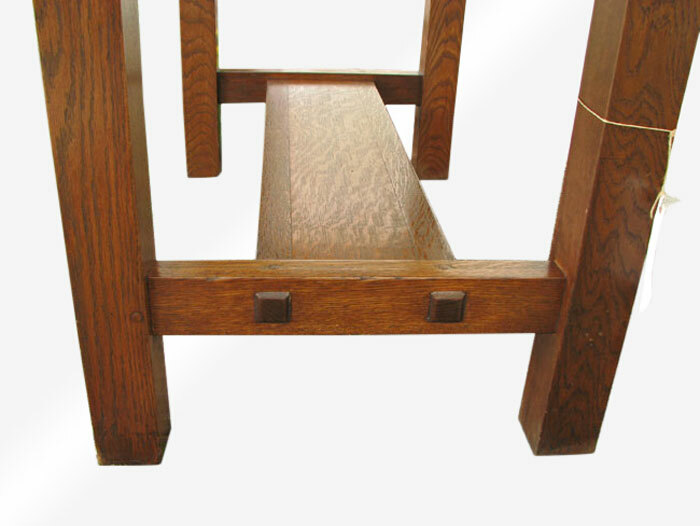 As you can see in the pictures the table has a through tenon construction on the lower shelf. 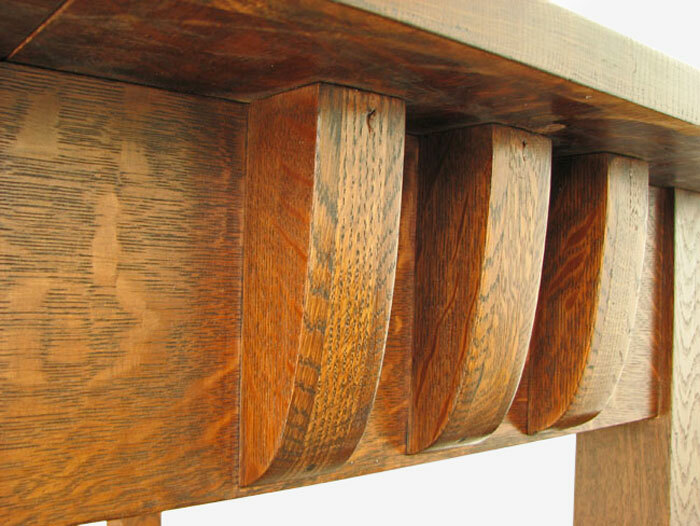 This table has a beautiful form and you just don’t see too many of these tables around.